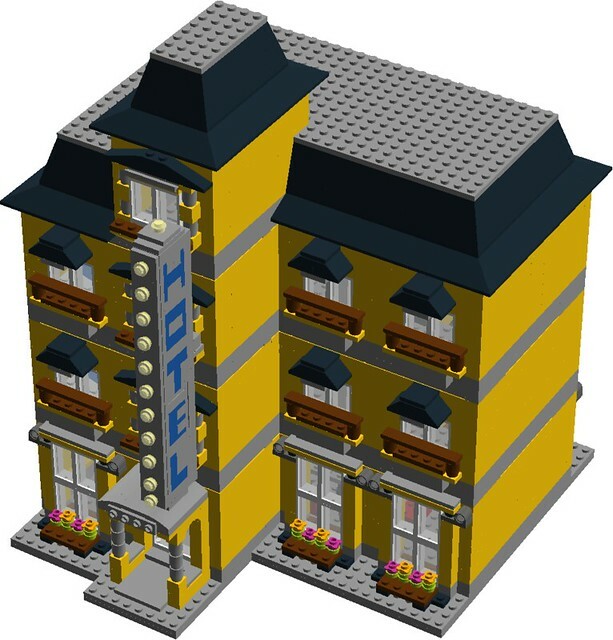 My version of the building is modular with four levels, with four rooms, a lobby level, and the roof / tower that lift away. The neon sign out front is double-sided, and can be read from either left or right sides, while the awning above the door should say RITZ in printed 1 x 1 tiles. 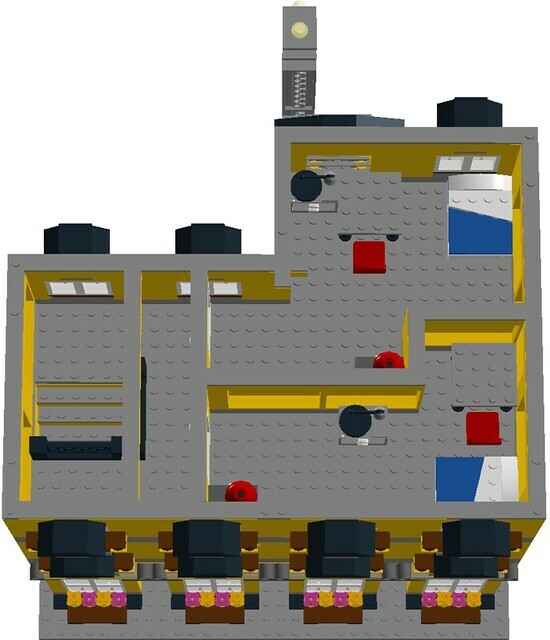 The rear and front of building features a ton of windows, while the left and right sides feature none, due to this model being placed in close proximity with other buildings. The "L" shape of this building gives it a unique feel, in my opinion. The lower floor currently features a check-in desk with cash register, piano, dining room table and several seats. The second floor features two separate rooms with a bed, desk with lamp, table, chairs, and a record player in each. Third floor also features the same stuff as the second floor. 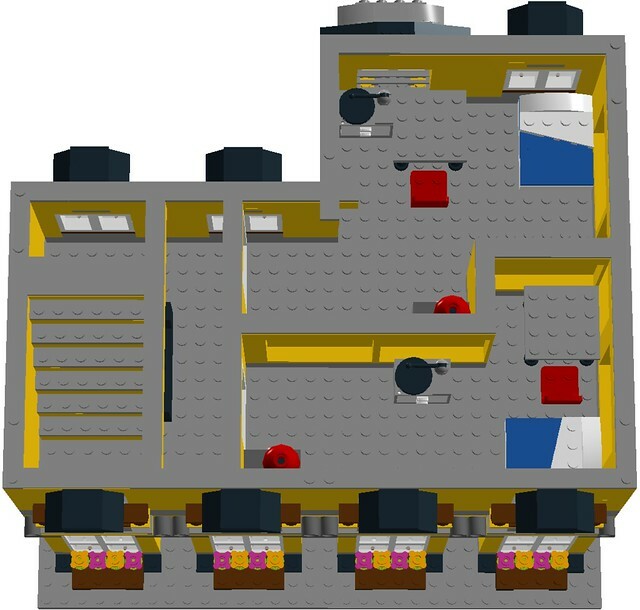 NOTE: Here's the LDD file of the whole model. As usual, comments, questions and complaints always welcome! EDIT 2/25/18: added two more rooms a better styled roof with revised color scheme and an updated LDD file. This model is now on the to-build list, to be built sometime later this year. Nice job! One mod to consider is to add bathrooms to the hotel rooms. It looks like there is enough room to do it if you move the beds around. Thanks for the idea, and sorry for the late reply! 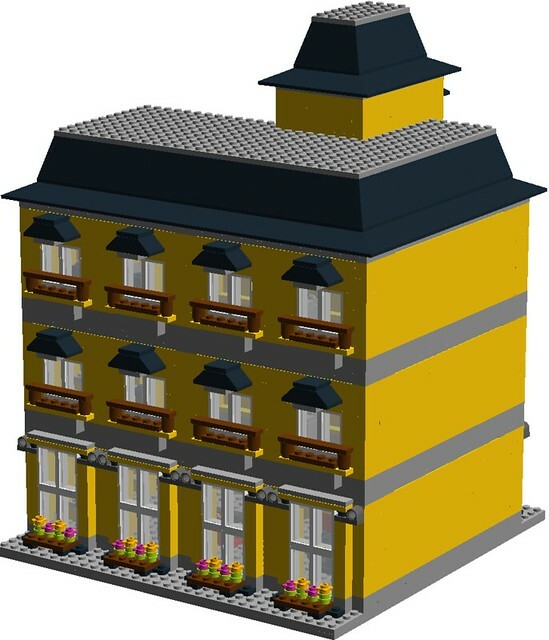 The model has just been updated in the first post, so please take a look and remember that real life pictures will be coming at some point in 2018 after the model is completed 'in the brick'. When you completely finish it you should post it to ideas and see where it goes! 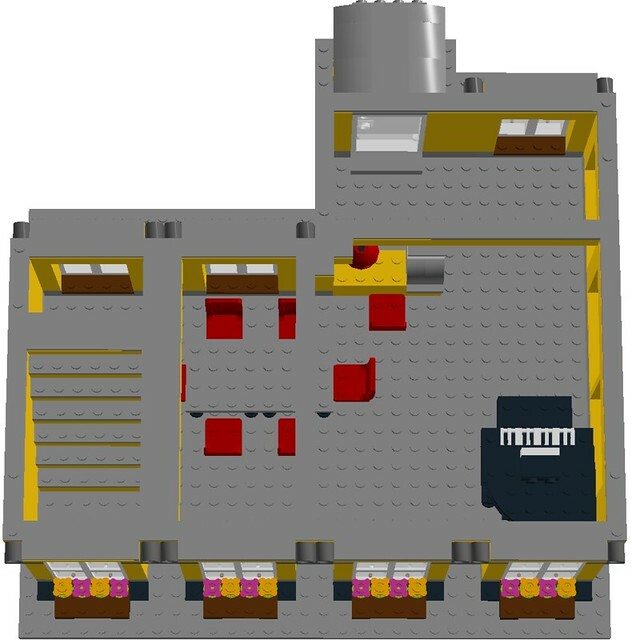 I could see it getting pretty far and given the fact Lego is doing more and more larger Ideas sets there's a chance. Can't wait to see the finished product looks good so far!